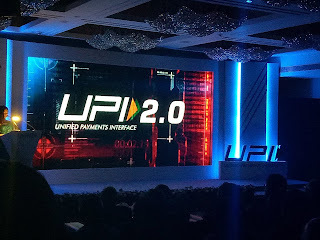 UPI 2.0 has a feature like ‘overdraft facility’ for getting invoices attached with payment requests. Besides, it has introduced a ‘block payment’ option, which consumers can adopt for cab rides, e-commerce deliveries, buying stocks during IPOs and other transactions. It has also introduced the option of ‘pay via verified QR codes’. Experts say that the new features will give a further push to the digital payment in the e-commerce segment which still sees cash-on-delivery as the largest mode of payment by customers. UPI 2.0, however, failed to induct ‘standing instruction’ feature in the new version. 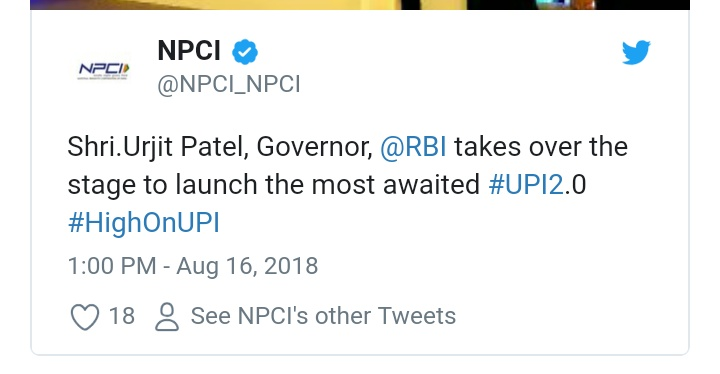 The NPCI-owned payment platform was also planning to introduce a ‘standing instruction’ feature on the platform which was not approved by the Reserve Bank of India (RBI), according to media reports. The standing instruction feature would have worked as an auto-debit facility for consumers for repeat transactions such as loan payments or mutual fund investments. Since its inception, the UPI payment ecosystem has been growing at a fast pace. According to the data released by NPCI, the transaction volume for July stood at 235.65 million. Online payment app PhonePe claims to have secured the top spot on the UPI network. The company has crossed 100 million monthly transactions in the month of July. After Paytm, it’s the second firm on the UPI ecosystem to hit 94 million monthly transaction volume. Meanwhile, the growth in UPI transaction is expected to explode when WhatsApp comes into play. The Facebook-owned company is delaying the mass launch of WhatsApp Pay due to privacy concerns raised by regulatory bodies.